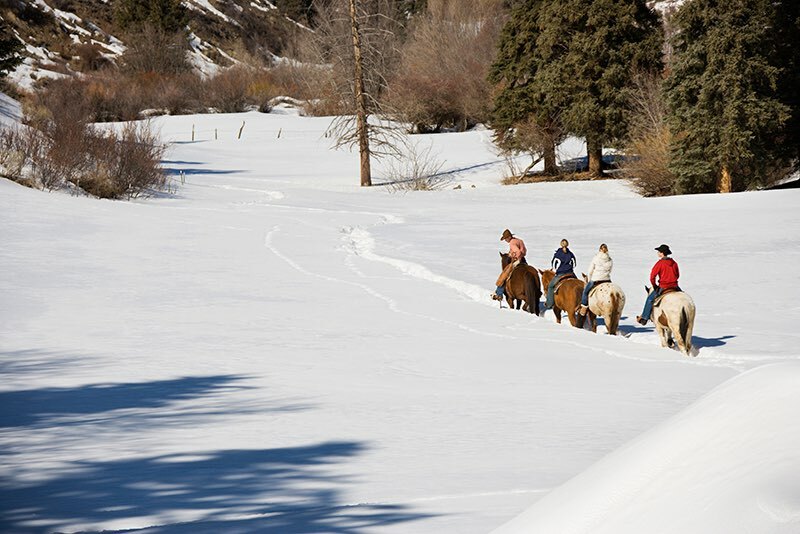 Wolf Creek Mountain Folks offer one hour guided tours, riding lessons, guided nature walks and carriage rides with campfire adventures, Sunday morning breakfast rides, carriage rides with campfire dinners, and sleigh rides. Their tours are guided by Goat and his wife Liz, they are fun and interesting Mountain Folk. They have learned many things about the woods, the mountains, plants, animals and of course, about the history of the area. They would love to share their stories with you and your children. Sleigh rides are available from Thanksgiving thru March. They us a sleigh when there is enough snow and the carriage otherwise. Come and join their team “Butch and Buster” for a leisurely scenic tour in a beautiful sleigh followed by a hot beverage and homemade baked goods served in a warm canvas lodge in the woods. These activities are by reservation only and require 24 hours advance notice. Please call 719-588-3083 for more information or visit their website. Wolf Creek Mountain Folks are located 9.5 miles west of South Fork on Hwy 160 between mile marker 176 and 177. Wolf Creek Ranch offers 1,2, and 3 hour trail rides for those with or without experience. On the one hour trip, enjoy a leisurely ride across the South Fork of the Rio Grande River onto a beautiful trail through the woods and meadows. The two hour ride much like the one hour ride will take you to Fox Mountain for a breathtaking view of the Continental Divide and Columbine Falls. The three hour ride is a combination of the one and two hour rides. Wolf Creek Ranch also offers Sleigh Rides. Join their team of Hurricane and Buffalo for a scenic tour. Day and evening rides are available. Hot beverages and baked goods included with the sleigh rides. Reservations are preferred, walk-ins are welcome. For more information or to make reservations, please call 719-873-5998. Wolf Creek Ranch is located 9 miles west of South Fork on Hwy 160 towards Wolf Creek Pass.